Suitable for slitting BOPP adhesive tape/cellophane tape. 1. Full-automatic turret four-shaft exchange is adopted and the efficiency is improved. 2. 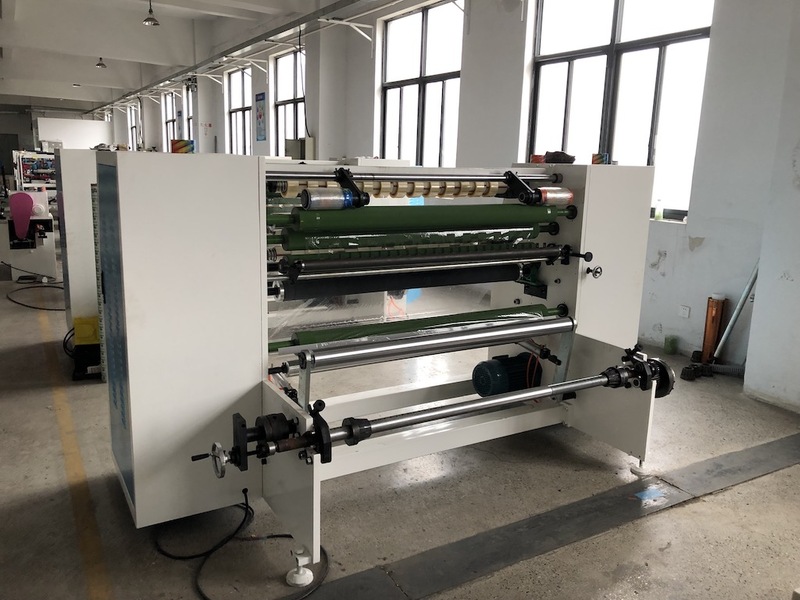 Continuously variable speed regulating of inverter and three-step length setting provide smooth rewinding operation to ensure accurate rewinding length. It can automatically decelerate and stall when operating at high speed. 3. 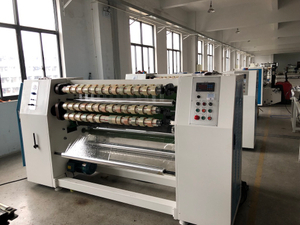 The unwinding tension is adopted with pneumatic braking control. 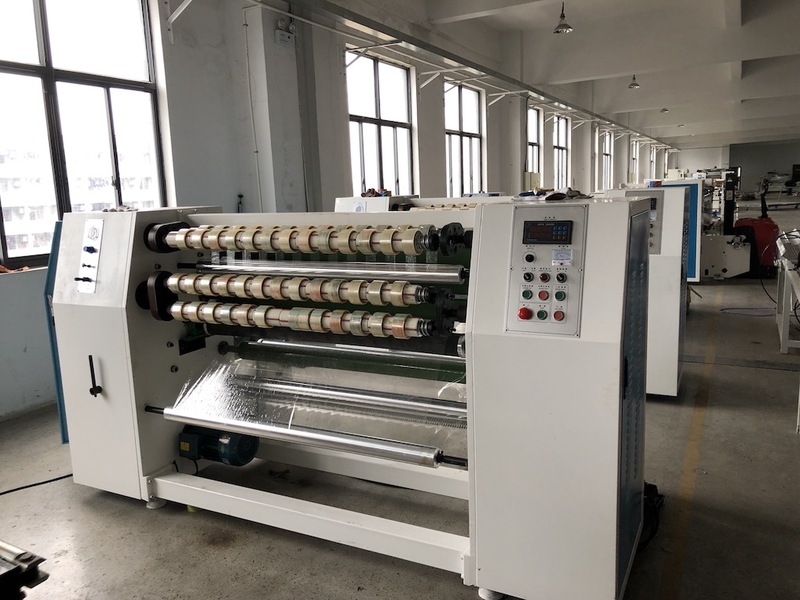 The rewinding tension is adopted with the dual control equipped with the clutch and the independent slide setting for free adjustment of the tensile force. 4. The banana roller is used to eliminate tape wrinkling during extension and feeding. 5. 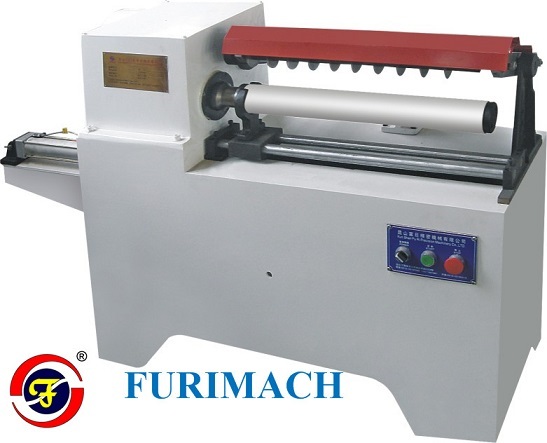 Edge trimming by spool trim winder.